The launch vehicle poised to give TESS its boost into space later today is the SpaceX Falcon 9, a two-stage rocket with nine Merlin engines powering the first stage and a single Merlin engine powering the second. Both stages run on a combination of liquid oxygen and RP-1, a refined kerosene. 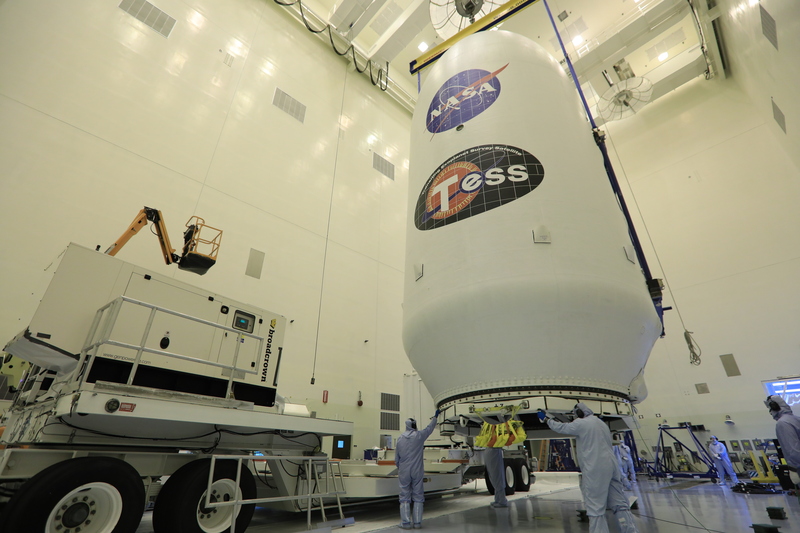 Propellant loading operations begin later this afternoon. Topping the Falcon 9 is a composite payload fairing that will protect the TESS spacecraft during the first three minutes of flight. Liftoff of the Falcon 9 carrying NASA’s TESS satellite remains scheduled for 6:32 p.m. EDT from Space Launch Complex 40 at Cape Canaveral Air Force Station in Florida. For more information on the Falcon 9, visit http://www.spacex.com/falcon9.